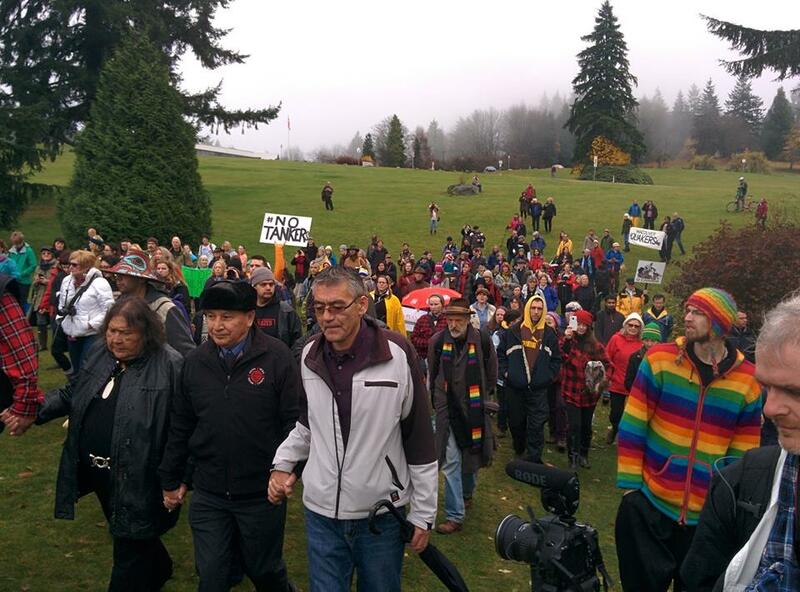 Chief Stewart Phillip of the Union of BC Indian Chiefs leads crowd of around 100 to drill site as he voluntary gets arrested, Nov 27, 2014. An application by Kinder Morgan to extend an injunction keeping protesters away from two drilling sites on Burnaby Mountain was rejected by the B.C. Supreme Court Thursday, meaning the site must be cleared of excavation work by Dec. 1.